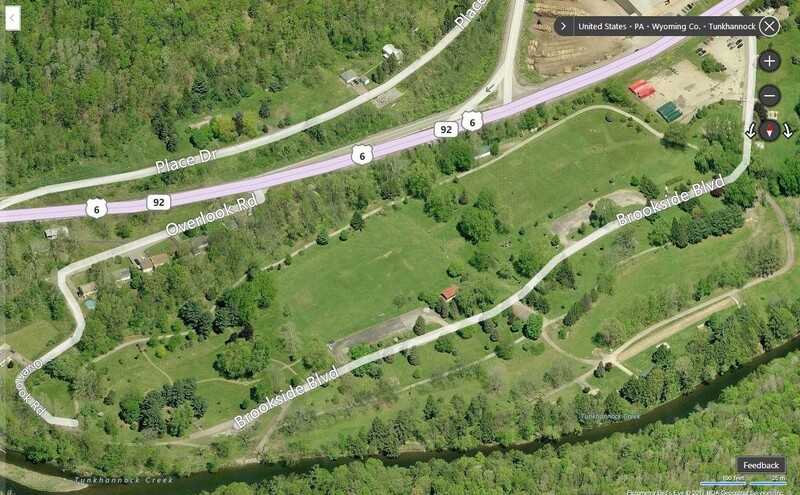 The Not One More in Wyoming County Second Annual Addiction/Overdose Awareness Rally will be held in Lazy Brook Park, Tunkhannock Township (shown in a Bing Map above), on Saturday, Sept. 9. Organizers are seeking donations to cover the costs for promotion of the event and some of the logistics. The Not One More in Wyoming County Second Annual Addiction/Overdose Awareness Rally will take place on Saturday, Sept. 9 at Lazy Brook Park in Tunkhannock. The family-friendly community event will be held from 1 to 9 pm and feature live music from local bands, activities for kids, food from a variety of vendors, resources and information booths, and keynote speakers throughout the day. There is no cost for admission or parking. In order to keep attendance to the event free, most of the vendors, entertainers, and speakers are lending their time, talent and expertise at no cost. Nonetheless, there are costs to cover, including advertisement, printing, and staging. Monetary donations can be mailed to the United Way of Wyoming County at 119 Warren Street, Tunkhannock, PA, 18657. Donors should write “Not One More” on the memo line. To donate a basket or otherwise support the cause, interested readers can call 570-750-1203, 570-833-4330 or 570-469-4014. Representatives of recovery-related local agencies will staff booths offering information on wellness, mental health and treatment facilities. There will also be education on human trafficking and a self-defense demonstration. There will be a bouncy house for kids, as well as balloons and face painting. Mitch Winters will serve as emcee. Volunteers are needed for many aspects of the rally, as well. Those interested in helping should like the Not One More September 9 Rally Volunteers page on Facebook and register via post of message. Speakers on Sept. 9 will include Alexis Johnson and Jennifer Ross Haubar, both of whom are recovering from addiction. Johnson was born and raised in Lackawanna County and now lives in Harrisburg, where she is pursuing a career as a fitness model. After falling into the grips of addiction and countless times into treatment facilities, she is two years clean and counting. 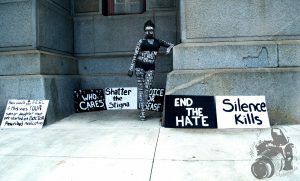 Johnson recently staged a silent protest in center city Philadelphia (above) that brought passersby to a stop and sparked spontaneous conversation about the addiction/overdose crisis. Haubar was born and raised in Wyoming County and became addicted to opiates prescribed by her doctor, an extremely common but under-reported scenario. The event will conclude with a candlelight vigil – Lights of Hope – coordinated by The Addicts Mom. Through the sale of raffle tickets for themed gift baskets, rally organizers hope to raise $3,000 at this year’s event, which will be used for scholarships for people transitioning from treatment to sober living. Not One More in Wyoming County was formed in 2016 by a group of parents and concerned citizens looking for ways to bring those struggling with addiction to the resources needed to win their battles and to increase awareness and hope in the face of a growing opioid epidemic. Separate events held in 2016 have been combined this year for a bigger and more focused impact on an issue that continues to consume lives and communities across the nation.